Dear Marlise, You deserve these flowers. I couldn't have done it without your help. You did everything I asked of you. It's not easy buying a house so far away. You made it simple. Thank you. 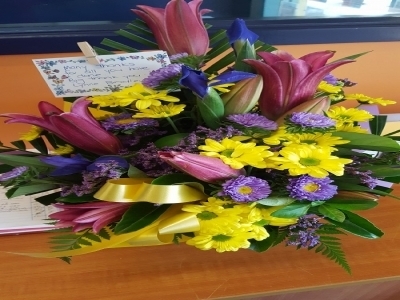 Dear Marlise, We would like to express our gratitude to you for your efforts in selling our property. We found your approach to us warm, interested and professional. 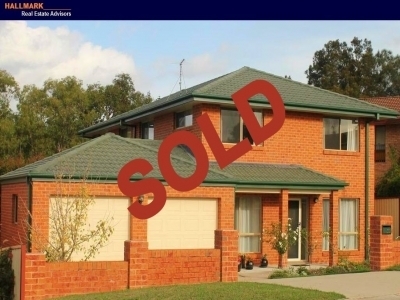 You certainly did make every effort to secure our sale and achieve a very positive result for us. We will certainly highly recommend you to anyone interested in buying or selling property. Warmest wishes and a big thank-you. Hi Marlise & Heidi, Thanks for your input into our purchase of Salmon Street. We found Hallmark group a pleasure to deal with, and Tuross is Terrific, using a slogan I remember from the '70's that was used to promote Tuross Head. Thanks again. 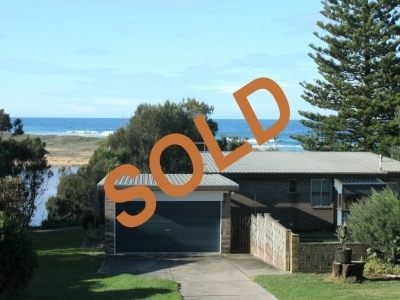 We are writing to thank you fro your assistance with the sale of 37 Salmon Street, Tuross Head, and the purchase of another property in Tuross Head. Throughout the entire process we were very appreciative of the professional service provided by yourself and Heidi, and the time given to inspections and marketing of both properties. We are very pleased with the outcome of your efforts, and the short amount of time involved with both the sale and purchase of properties. We look forward to continued holiday visits to Tuross, and thank you again for your help regarding our real estate transactions. 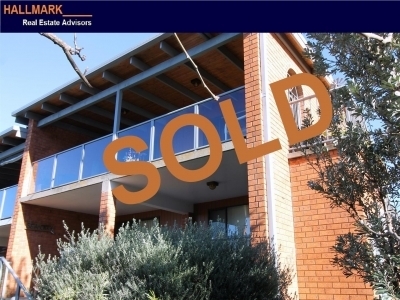 I would like to thank everyone at Hallmark especially Terry for making the process of selling my property easy and stress free in a very quick time frame ( 2 weeks). Terry was always very professional and went above and beyond and was always available when I called. Hi Marlise, I wanted to let you know I was very happy with the service you provided and your and Hallmark's expertise in selling our late father's property. Your feedback was consistent and timely and you were able to get people through the property to view it with your campaign. You were proactive in seeking out new potential buyers and offered ways we could improve the property based on feedback you received. We were able to implement those changes to the property from afar as you took on the task of engaging trusted local tradespeople to do it. Your attention to detail and willingness to go the extra mile were exceptional and we would have no hesitation in recommending you to future sellers and buyers. Thank you again for a job well done and I wish you all the very best for the future. Hallmark are professional, helpful and honest. 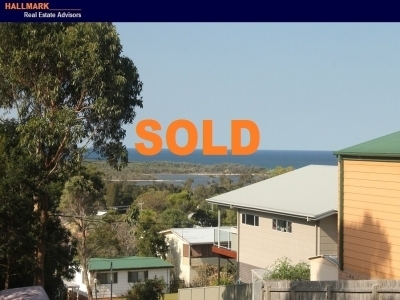 Marlise was able to sell my property in the quickest time possible. They are a pleasure to deal with and I highly recommend them. Thanks Hallmark. 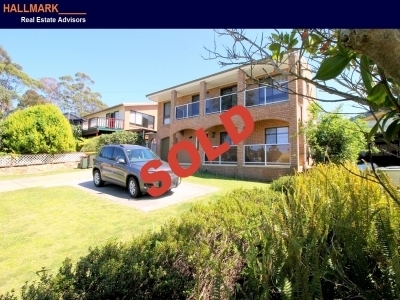 Thank you for all your invaluable assistance in the recent sale of our property. This is the second property we have sold with you and as always, we were very happy with the professionalism, service and care provided by everyone in the Hallmark Team. We would also like to thank your very professional Property Management Department who looked after our investment as well as caring for our tenants. 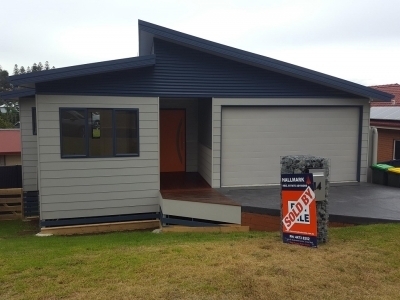 I would gladly recommend you to anyone who is looking to buy, sell or rent in Tuross Head. From appraisal to settlement, Marlise made selling our house a pleasant, stress-free experience. Her professionalism shone through in the advice she gave us regarding the sale of our property. As well as being very approachable, she is an excellent communicator, always following up our phone calls (even on her days off). We're sure her enthusiasm for her job helped sell our house. 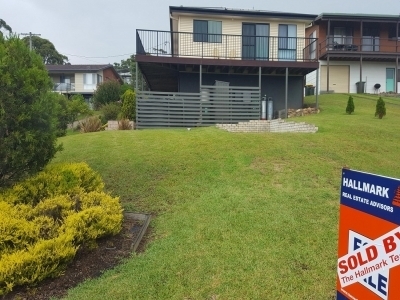 Over the thirty years I have owned the property at 9 Chauvel Crescent, Tuross Head, I have been well and courteously served by the staff at Hallmark Real Estate Advisors. My special thanks to Heidi, who has responded in a timely and friendly manner to every contingency appertaining to the management of my/our much loved little grey home in the south. Thanks also to Sharn & Emma. 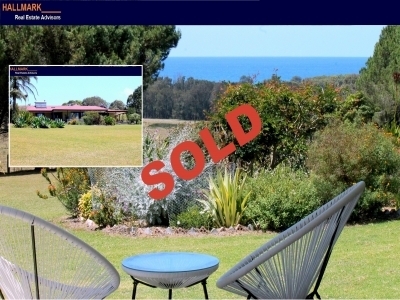 I commend our friend Marlise Woodford, who managed the sale of Bingi Bungalow with considerable finesse. Her professional and undramatic manner were instrumental in bringing the sale to an amicable and easy conclusion in an acceptable timeframe, considering the seasonal factors. Well done, Marlise. We will always have the happiest memories of our years in Tuross Head, and our relationship with the Hallmark staff. 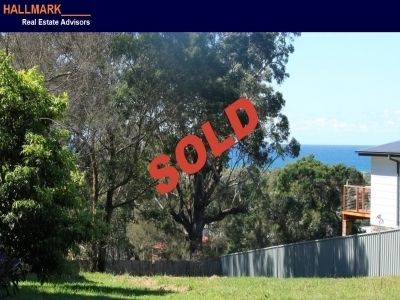 A big thank-you to Marlise Woodford for your professional manner in securing a purchaser for our property. We found the process very daunting at times but you were always very encouraging and courteous. We would have no hesitation in recommending you as well as the rest of the team at Hallmark Real Estate. Marlise, thank you for selling our home. Your communication level with us and your quick response to any questions we asked made the process of selling hassle free. Your knowledge of Tuross and surrounding areas is second to none and from our experience we would have no hesitation in recommending Marlise Woodford and Hallmark Real Estate to anyone wanting to buy or sell. Thank you again. 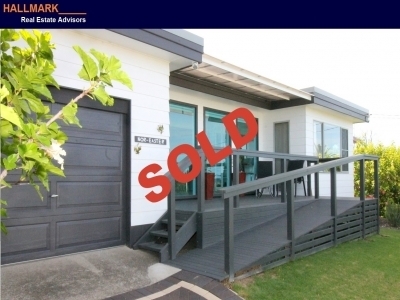 Maree, Gary & Lauren J.
Hi Marlise, Just a short note to thank-you and staff for the excellent way you handled the marketing and sale of my property. 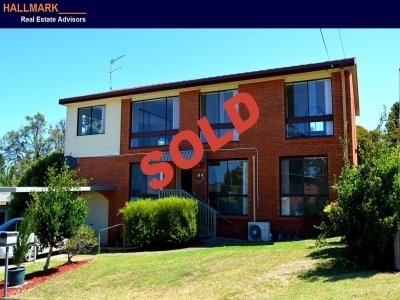 As this was my first house I have sold, your knowledge of the area and the confidence you gave me in explaining the sales procedure was very assuring. Once again thank you to you and the staff. Hi all! Just like to say thanks very much for your excellent service from start to finish. 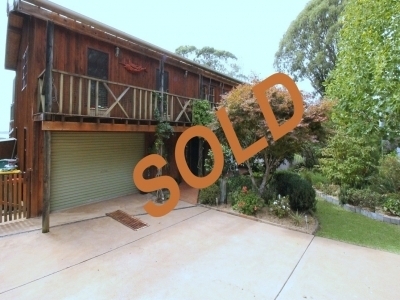 A special thank-you to Marlise Woodford for making the sale process a less daunting experience and her quick networking to secure me a purchaser. Also her attention to getting things done even on her days off. Thanks so much. Marlise, Just wanted to share how pleased we were with the positive experience we had dealing with your company. From start to finish everything was done in a courteous and professional manner. Marlise Woodford guided us in all aspects of the sale from start to finish. We were continually kept up to date with the progress from listing to the eventual sale of the property. We were encouraged to have contact regardless of how small the query we might have. At no time was anything too much trouble and every question was answered, be it little or small. We would have no hesitation in recommending Hallmark Real Estate for all your real estate needs. 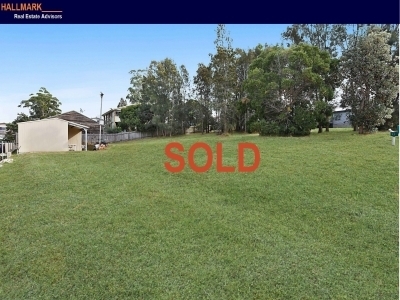 Hi Marlise, We just want to thank you for your outstanding service and diligence in selling our land. It has been a pleasure working with you and we wish you all the best. 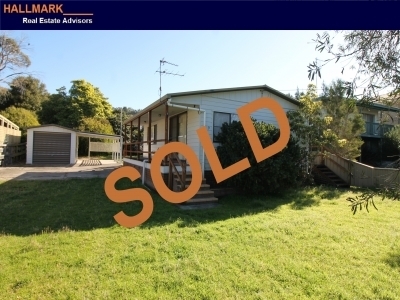 We would like to say a huge thank you to Marlise Woodford from Hallmark Real Estate for the professional management and sale of our property. We were absolutely ecstatic when Marlise found a purchaser and closed the sale after only managing our listing for 3 days. Marlise went out of her way to keep us informed and updated throughout the process, even on her days off and after business hours. We can not speak highly enough of the service that she provided to us and can highly recommend her to anyone wishing to sell their property. We would also like to thank Heidi for going out of her way to organise a temporary rental for us to stay in prior to going overseas. We wish them both and all the staff at Hallmark the very best for the future. Dear Mike, The philosophy of Hallmark Real Estate Advisors was right on when it came to Marlise Woodford. I could not have picked a better person to handle the sale of my home in Tuross. At all times Marlise gave 100 plus %, even when I was overseas, she contacted me on potential clients. 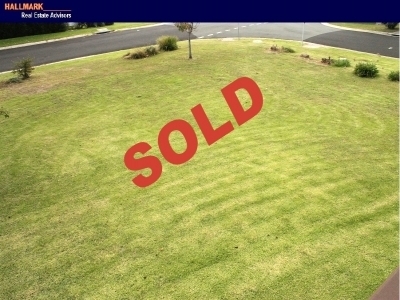 When my property finally sold and it did take some time (I always felt it was in the right hands) I was in Sydney on my way to NZ when I was advised the sale had gone through. I went into shock and worried that I would not have enough time to sell everything. Marlise then advised me not to worry, when I returned she would help me sell my furniture. She did this even when she was on holidays to South Australia. I received calls via her phone and yes everything was sold prior to my move. It had to be because I was downsizing big time! Marlise is the TOP SELLER in Tuross and because of this she deserves high rewards. Top marks to Heidi, a great back up for Marlise also. Nothing was ever too much trouble. My wife and I employed Marlise Woodford of Hallmark Real Estate Advisors to sell our house in Tuross Head. Marlise not only handled the sale in a very professional manner, she was able to get us a very good price. I would have no hesitation in recommending Marlise to anyone wishing to sell their home. 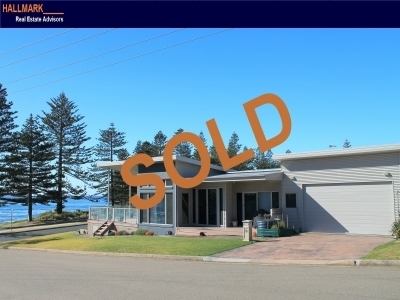 Terry Quinn of Hallmark Real Estate in Tuross Head was the sole agent acting for me in my property sale in Tuross Head. 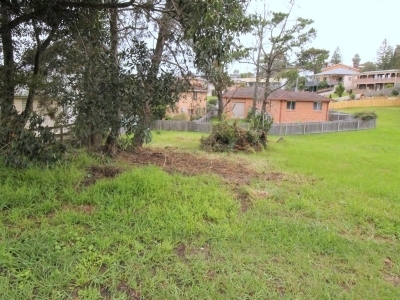 Terry listed the property with excellent images and description and guided me through the necessary steps. He assisted by providing the names of various solicitors and always acted in a professional manner, keeping me updated on local sales and informing me of reaction to inspections of my property. 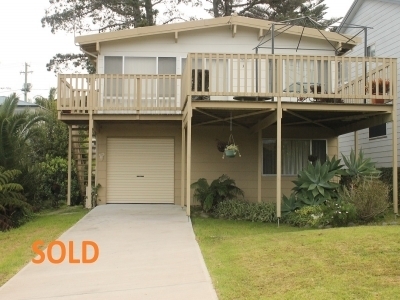 The property was sold in a reasonable time frame and I achieved a price above what I was expecting. I have no hesitation in recommending Terry as a real estate professional. 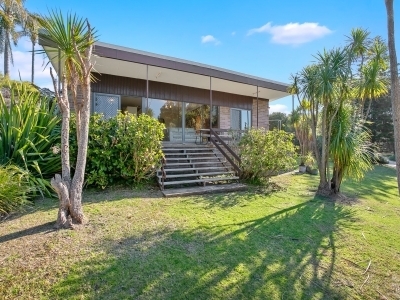 Dear Michael, Recently Terry Quinn of your office assisted my family and I in the sale of our family holiday home and a vacant block of land we held as an investment. We wanted to pass on just how much we appreciated the support and service we received from Terry and all of the staff of your office. During the sale of our properties communication was the most important factor for us, Terry was always friendly, diligent and nothing was ever too much for him. We have no hesitation in recommending Terry to anyone thinking of putting their property on the market, his care, diligence and ability to assist in the preparation and selling of our properties, meant we achieved the prices we wanted in a time frame we were happy with. Dear Terry, Just wanted to thank you for the effort and diligence you put into the sale of our place at 15 Beatty Crescent. Your care understanding and professionalism in dealing with the whole family was far beyond our expectations and made the whole process very easy and comfortable. You were honest and upfront on what you would deliver and to have a sale within two weeks was remarkable. The whole family wants to thank you for everything you have done and we would have no hesitations in recommending you to everyone within the area. 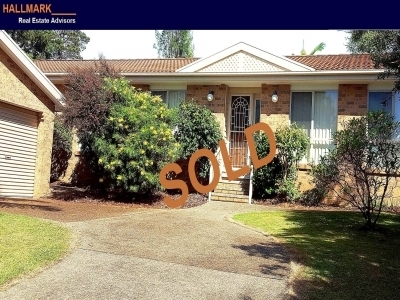 Dear Marlise, Thank you for all your help with the sale of our property. We really appreciate your professionalism, guidance and of being informed throughout the process from marketing to sale. Kindest regards Salih. Dear Marlise, We wanted to write a short note of sincere thanks for your help in making our Potato Point dream a reality at 16 Bodalla Road. Our dealings with real estate agents so far in life did not prepare us for your down-to-earth honesty and friendliness, which made the whole experience even more pleasant. Your welcome pack when we arrived was truly touching for us, so we wanted to let you know how much we appreciated it. 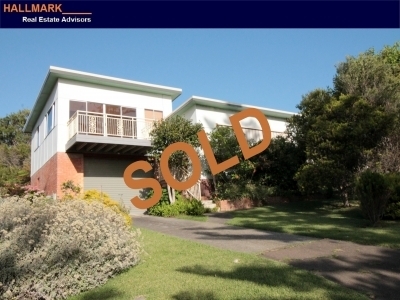 We recently listed and sold our Tuross head property with Hallmark Real Estate Advisors. Our contact there is Marlise Woodford. We were very happy with the price we received, the swift action of Marlise in listing the property, finding a buyer and her frequent updates by email and phone during the whole process. The office staff is efficient and reliably pass on messages. 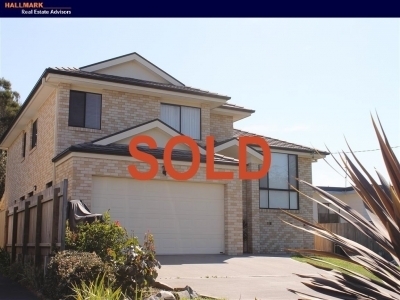 We have no hesitation in recommending Marlise at Hallmark Real Estate Advisors to anybody wishing to buy or sell a property in the Tuross area. 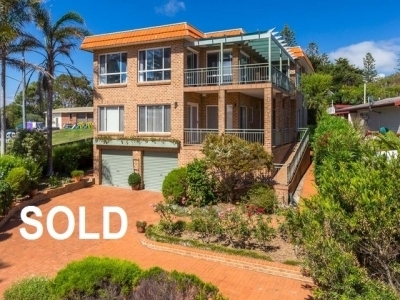 We have recently sold our property at 16 Bodalla Road, Potato Point and wish to publicly acknowledge how impressed we were with our agent Marlise Woodford. We were guided by her professional knowledge of the current market resulting in a very realistic price being set from the outset. 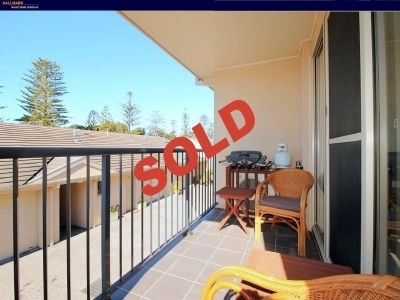 We received regular updates about interest in the property and the property sold within a very short time. With a few minor negotiations involving inclusions of white goods and basic furniture, the property was sold for asking price. Her knowledge of the area, the purchasing demographic, whilst ensuring our satisfaction, resulted in a fair, smooth, speedy and I believe satisfactory outcome for all parties. 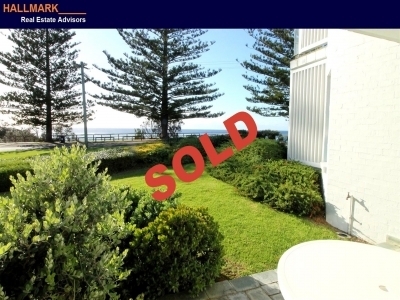 The decision to sell our beachside property was a very emotional one for us and Marlise made the closure of this chapter in our lives a very smooth one indeed. We wouldn't hesitate in recommending her services to future vendors.